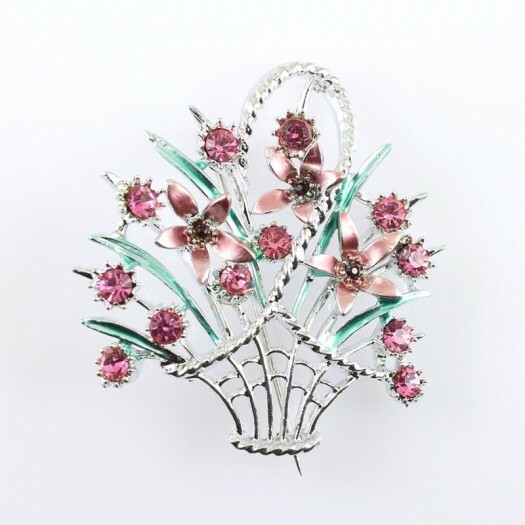 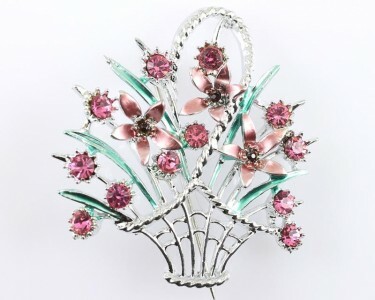 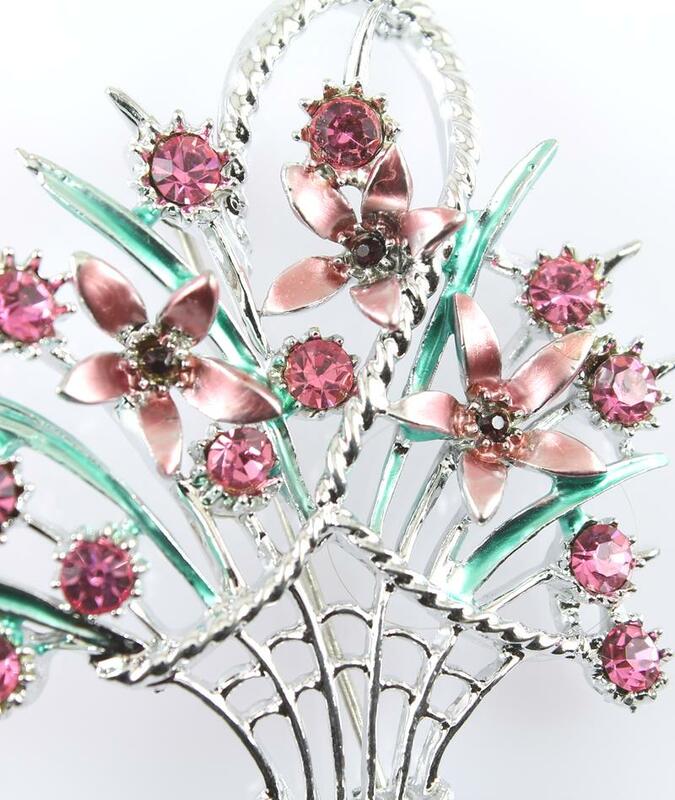 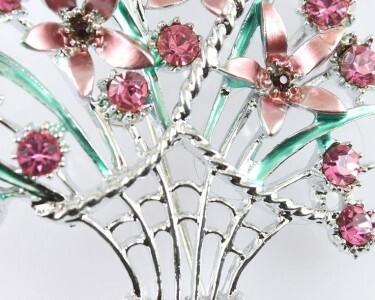 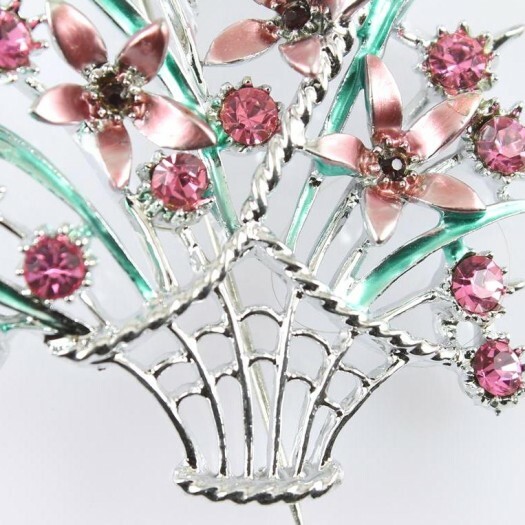 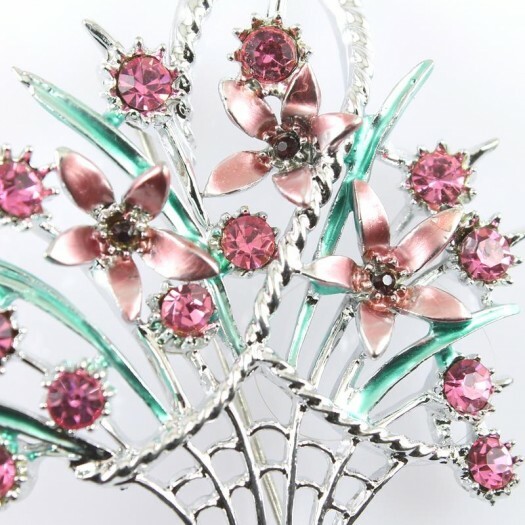 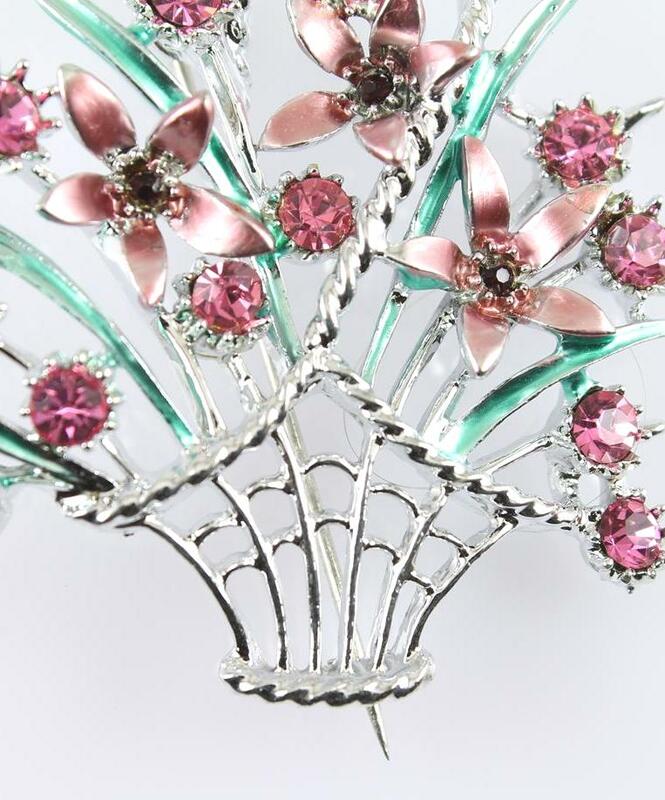 A beautifully designed vintage basket of pink flowers made from faceted pink gemstones and anodised pink metal. 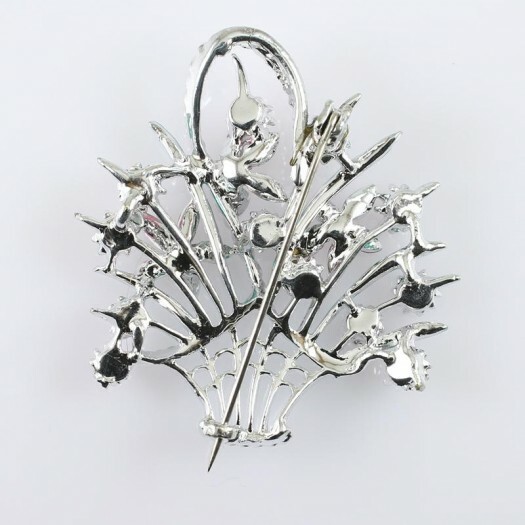 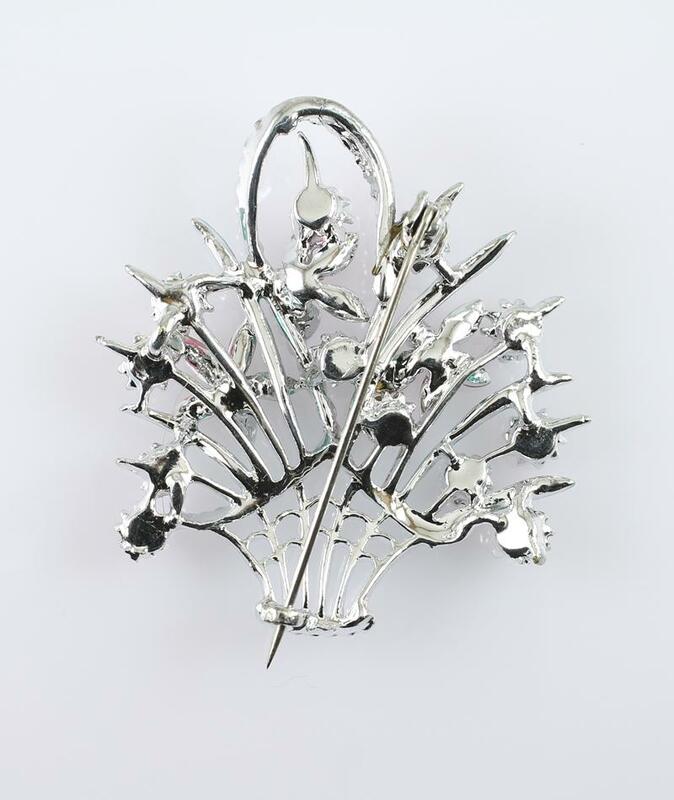 The leaves are fashioned from green anodised metal, while a silver basket, with a carrying handle, balances the piece. 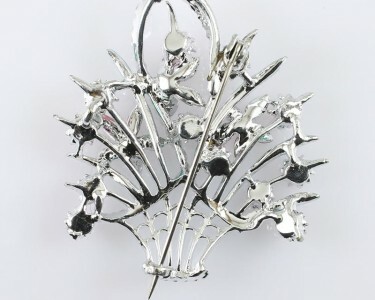 Fastened with a silver safety pin catch. 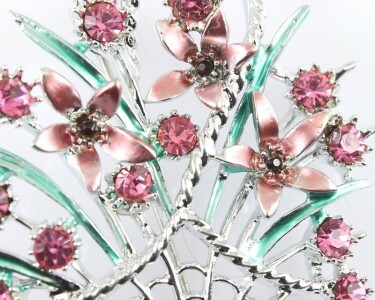 Wear It With : Similar to the flower basket brooches worn by Queen Elizabeth II and other royals, this beautiful, sparkling piece will look excellent on a darker jacket or coat, or match your other pink and green accessories.